Demanding that Phule pagadi (turban) be replaced with Puneri pagadi, students from Savitribai Phule Pune University protested during the convocation ceremony held on Friday in Pune. Police detained students for about four hours, but released them after asking them not to repeat the protest. 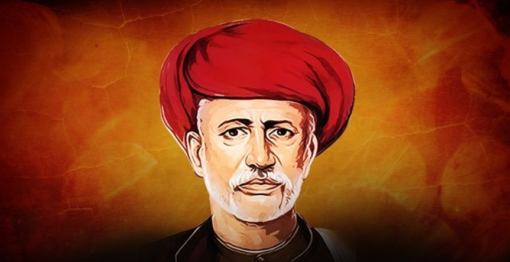 Phule pagadi refers to the style of the turban worn by Mahatma Jyotiba Phule – the 19th century reformist who had taken education to the lower castes and women. The pagadi is a symbol of Bahujans – Scheduled Castes, Scheduled Tribes and OBC, while Puneri pagadi is a symbol of Peshwas, prime ministers of Maratha Empire. Peshwas, belonging to the upper caste, were known for their brutally oppressive attitude towards the Dalits. The university administration decided this year to do away with the colonial dress code of black gown and black graduation cap for the convocation ceremony. New dress code that was finalised comprises cream-coloured kurta, white pants, purple-coloured uparana (sash), and it was made compulsory. Kuldip Ambekar, student leader of the Loktantrik Janata Dal, Sharmila Yeole, student leader of the Swabhimani Vidyarthi Parishad and Dayanand Shinde, leader of the Nationalist Congress Party’s students’ wing were detained while protesting, and were taken to the Chaturshringi Police Station. Police, after reportedly taking in writing from them that they would not repeat the act, released the students. Meanwhile, five other students put Puneri pagadi on a donkey, and took out a rally around the university, expressing the protest. This year, Pune University hosted its 114th convocation, and conferred degrees and diplomas to over 1.3 lakh students. In 2017, the university had sparked another controversy by announcing a bizarre condition that only non-drinkers and vegetarians will be eligible for the Maharishi Keertankar Shelar Mama Gold Medal awarded to the meritorious students.